Energy demand and greenhouse gas emissions from global buildings will reach 40% of total demand in 2050, according to the International Energy Agency’s Energy Technology Perspectives (2016). As zero energy housing technology can greatly cut down carbon dioxide emissions, France has set the goal of making all new public buildings constructed as ‘positive energy’ buildings. 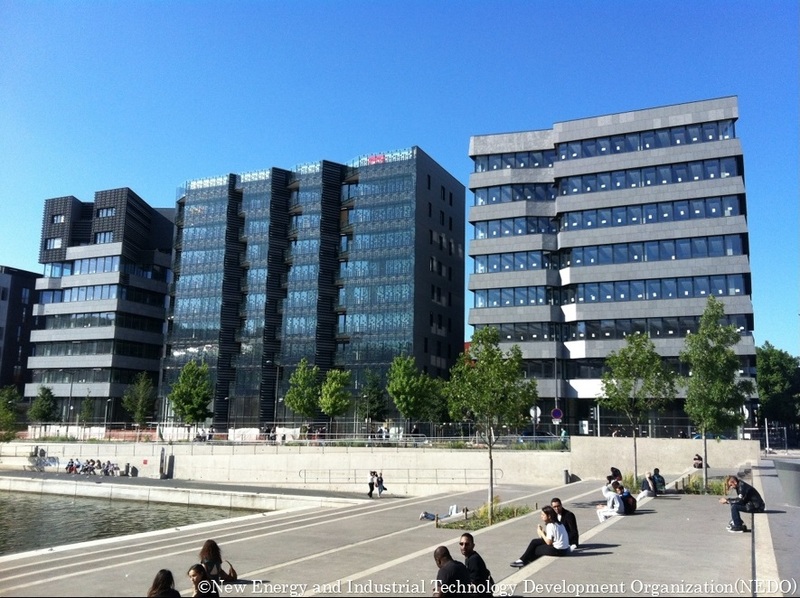 As part of a demonstration conducted in Lyon, France, Toshiba and Bouygues have constructed the positive energy complex HIKARI (meaning ‘light’), which generates more energy than it consumes by using a range of cutting edge technology. This is in partnership with Japanese government agency New Energy and Industrial Technology Development Organization (NEDO) and Grand Lyon, France. HIKARI is a 12,500-m2 complex of three mixed-use buildings containing offices, shops and apartments. Three positive energy building features of HIKARI include bioclimatic architectural design, the ability to produce energy on-site and pooled energy resources and data analysis. They use photovoltaic (PV) power generation (including a see-through PV façade on the MINAMI building), storage batteries, and heat storage materials that are controlled by an energy management system. Energy consumption has been reduced by 15% or more than the calculated amount at the basic design phase. HIKARI has been verified as a positive energy building. The next step is to make it economically feasible. There is huge potential for this project as buildings remain the most widespread, and also the most overlooked, target for rational energy management. NEDO is aiming to disseminate the results of the demonstration widely in other cities and countries.